As we march ahead inexorably into… March, The Wormhole embraces all things the infamous third month brings: Slinky-ing temperatures, the knockabout, whiskey-imbued follies of green-shirted revelers, the staggering disorientation of time thrust a full 60 minutes ahead. Winter’s icy mantle has been cast off, revealing the filmy rubber poncho beneath, and we could not be more delighted. 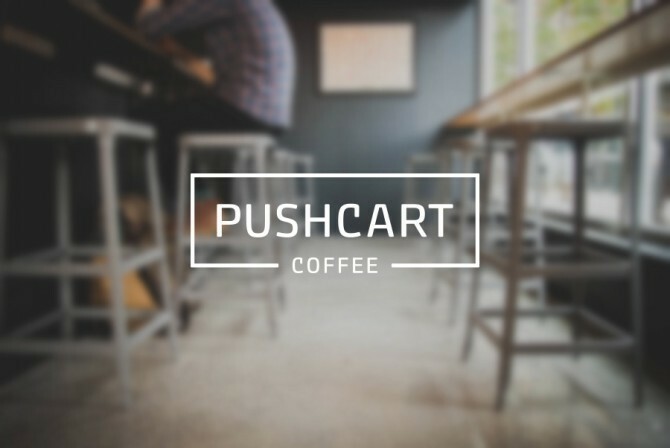 In the spirit of this transitional time, The Wormhole is proud to usher in a newcomer to our guest program: New York’s Pushcart Coffee. Established in 2011, Pushcart Coffee is turning heads with their palpable commitment to quality and community. Every bag of Pushcart Coffee includes not only in-depth notes on the origin, roast style, and tasting notes of their offerings, but technical specs concerning the times and temperatures of the individual roast batches themselves. In our industry, this degree of transparency is as rare as it is refreshing. Their 3 locations in New York subscribe to a collaborative, community-minded ethos and feature artisanal pastries, wines, beers, kombuchas, and numerous other items from local vendors. In short, these are the good guys and we’re psyched to partner with them. For this installment of the guest program, we’ve selected their fabulous Kenya Gakundu AB. With all the classic full-bodied, fruity flavor emblematic of Kenyas, the Gakundu AB shines with exquisitely balanced creamy nougat, juicy splashes of blackberry, and a rippling tangelo acidity. It’s heaven in a cup at an earthbound price. Run, don’t walk, at speeds that throttle the imagination to come get some.